“Use it or lose it” commonly refers to the importance of exercising your body and staying fit. Exercising your brain is just as important. Your brain needs a regular workout, especially as you age. After the age of 65, your risk of developing dementia doubles approximately every five years. Dementia (dementia) is not a disease. It’s a symptom resulting from damaged brain cells that affect your memory, personality, and decision-making abilities. Brain damage can occur from a head injury, stroke, or disease, such as Alzheimer’s disease (the no. 1 form of dementia). Other diseases, such as uncontrolled type 2 diabetes, can cause another form of dementia known as vascular (vascular) dementia (the 2nd most common form of the condition). Vascular dementia is caused by poor blood (blood) supply to the brain. It also affects memory, personality, and decision-making abilities. activity, the better the benefits. 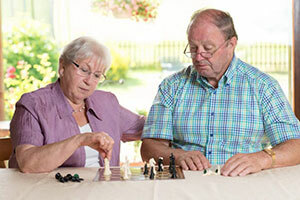 If you are healthy and younger than 65, stimulating your brain with activities and games can keep your mind sharp later in life (unless you develop a dementia-related disease or have a stroke or a head injury). If you currently have some form of dementia, brain games and “activemind” activity can still help. There are plenty of online games and apps available to play on the computer, your cell (cell) phone, or tablet. Some are free and some require a one-time or monthly fee. Don’t forget the benefits of playing simple board games, such as checkers, chess, matching games, or a jigsaw puzzle. Other puzzle games, such as Sudoku and crossword puzzles, are challenging, as well, and are often found in your local newspaper. Write a to-do list and then memorize it. Listen to a new song and write down some of the lyrics. Draw a map from your home to the library. Changing the way you do something. If you are right-handed and stir your coffee with that hand, trying stirring with your left hand. Try a new craft or hobby. It’s important to supplement your brain activity with a healthy lifestyle, too. Maintain a healthy weight and eat healthy. Get moving with physical exercise. Do your best to avoid injuries. Follow your doctor’s orders for managing your diseases or conditions. Don’t neglect your mental health. Maintain an active social life by regularly spending time with friends, volunteering, or joining a club. up. Change up your daily living routine, too. For example, if you always brush your teeth and then comb your hair, try reversing your routine. Do the same thing with your healthy living. Swap a fried food for the grilled version, add five minutes to your exercise routine, schedule your annual health exam and screenings, and make a date with a friend. Unfortunately, there’s no guarantee that brain training and lifestyle changes will prevent all forms of dementia. And it will not cure certain forms of dementia, such as Alzheimer’s disease. However, you can improve dementia that is tied directly to disease (such as uncontrolled type 2 diabetes) by managing the disease with medicine and healthy living. Dementia may be difficult to spot on your own. Often, it takes a family member or close friend to notice changes. Unfortunately, there is not enough evidence to determine the pros and cons of physician (physician) screening for dementia, according to the American Academy of Family Physicians (AAFP). Certain medicines and depression can be tied to memory loss. Memory loss of recent events or information. This might be noticeable if you or a loved one repeats the same question and can’t remember the answer. Forgetting how to perform familiar tasks, such as driving, cooking, or bathing. Language problems, such as not using the correct word. Not remembering how to get somewhere familiar or how you got there. Poor judgment for simple things, such as wearing a different shoe on each foot. An inability to think in abstract ways, such as understanding the purpose of money. Losing things and finding them in strange places, such as putting clothing in the refrigerator. Mood and personality changes that can turn a usually happy person into an angry, rude person, or a confident person into a fearful, suspicious person. Loss of interest in things that once mattered, such as time with friends and family or hobbies. How many hours a day should I spend playing brain games? Should I be concerned if I perform poorly on the brain games? Is that an indication of early dementia? What does it mean if I get tired after playing games? How can I tell if playing brain games is making a difference? Is it better to play brain games on your own or with a partner?